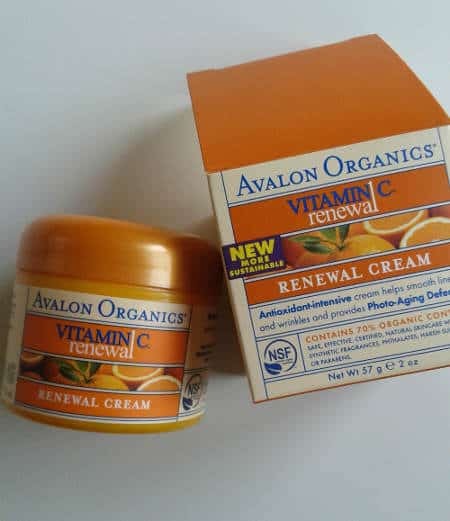 My review on avalon organics vitamin C renewal facial cream was triggered by a recent trip to a health shop also selling natural and organic skin care products. Trying a bit from a tester there on my hands whose skin was dehydrated at that period I saw an instant improvement and taking into consideration the power of vitamin C to boost collagen, I thought to give it a try. I also bought their vitamin C serum just to have an idea of Avalon vitamin C products. I have been using Avalon Organics Vitamin C Face Cream for less than a month and not continuously like every day. Let me start from its texture. It’s thick but surprisingly it spreads quite fast, absorbs quite well and for me it doesn’t give any feeling of oiliness and greasiness. 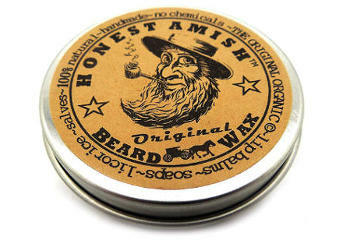 The smell is citrusy, not chemically unpleasant and it doesn’t linger. 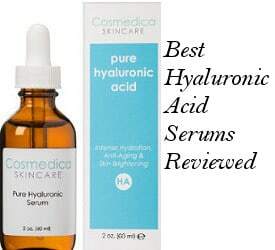 About the effects of its vitamin C (Ascorbic Acid) on my skin, I would say that it is quite effective with forehead fine lines. It seems to even my skin texture and boost collagen up to a point like improving elasticity and skin plumping. Still, I am not really sure it can do wonders for mature types of skin or complexions with demanding needs of skin renewal. For me, this face cream has some anti aging effects but I avoid using it every time since vitamin C can have a drying effect on the skin. Also, it seems that the quantity will last long since as I have said it has a thick texture and you don’t need to use a lot of the product. So, this period I daily use a good moisturizer and of course a serum and at times that I want to offer my skin a light anti aging boost because I don’t really need a strong anti aging coverage right now, I go for this cream which hasn’t irritated my skin or caused any breakouts. Certified by QAI to NSF/ANSI 305 which is the American National Standard for personal care products that contain organic components. Free of parabens, synthetic colors or fragrances, harsh preservatives, phthalates and sulfates. According to Avalon Organics company, their age defying cream deeply rehydrates, repairs and rejuvenates skin. It can stimulate elastin and collagen production and help reduce fine lines and wrinkles. The vitamin C together with Lemon Bioflavonoids and White Tea relieve oxidative stress and fight photo aging signs. The complexion becomes smoother, more supple while feeling youthful and refreshed. Aloe Barbadensis Leaf Juice(1), Aqua (Water), C10-18 Triglycerides, Sunflower Seed Oil(1), Polyglyceryl-6 Distearate, Jojoba Seed Oil(1), Glycerin, Glyceryl Stearate, Cetyl Alcohol, Cocoa Seed Butter(1), Bergamot Fruit Oil, Orange Peel Oil, Lemon Peel Oil, Borago Officinalis Seed Oil(1), Linseed Seed Oil(1), Sweet Almond Oil, Rosa Canina Fruit Oil(1), Arnica Montana Flower Extract(1), Calendula Officinalis Flower Extract(1), Camellia Sinensis Leaf Extract(1), Chamomilla Recutita (Matricaria) Flower Extract(1), Lemon Peel Extract*, Lavender Flower/Leaf/Stem Extract(1), Olive Leaf Extract(1), Saccharomyces/Xylinum/Black Tea Ferment(1), Algin, Ascorbic Acid, Tocopheryl Acetate, Xanthan Gum, Alcohol(1), Potassium Sorbate, Sodium Benzoate, Citral, Limonene, Linalool. 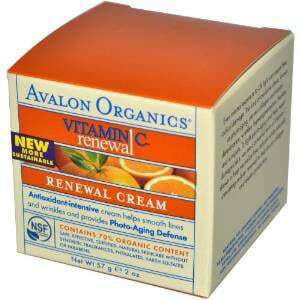 What do the Reviews say about Avalon Organics Vitamin C Renewal Cream? Reviews on this cream vary from very good to neutral and a few ones that are not so good. Still, the majority were closer to positive. So, while for some it has become their favorite moisturizing cream even competing more expensive creams, with even people who have very dry skin reporting how smooth, flexible and toned their skin feels after using this cream, there are few others that have found it actually a bit drying and irritating. Highly concentrated vitamin C can cause irritation although in this cream we can’t be sure about the percentage of vitamin C.
It’s mainly serums the ones that contain vitamin C in a higher dosage. After trying to dig deeper into the ingredients list, I found out that Sodium Benzoate can also be responsible for skin and eye irritation. Sodium Benzoate is used as a preservative in foods, too and only a certain dosage of it is allowed in foods to be thought as safe. So, we gather that cosmetic companies and especially the ones who offer organic products would be really careful with the percentage. Somebody can understand that only a minimum percentage of a preservative can go into a small jar of a cream. Still, for some people even that small percentage can be irritating because everybody’s skin reacts differently. Overall, most of the people find this vitamin C face cream by Avalon Organics quite good and some love it. A few negative reviews also relate to people’s complaints that the new formula of the cream is more runny than the actual one they used to buy but on that not everybody agrees, either. On that I would say that I have bought the new formula and it is thick and not runny at all. I would guess that probably at some point a batch of the cream was a bit different and that’s how those reviews appeared. People love its slight citrusy scent which doesn’t linger and a few ones have mentioned how this cream has helped their skin stay away from blemishes. 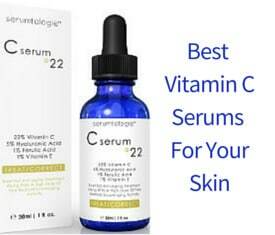 In my case, I can also affirm that this vitamin C facial cream hasn’t caused any breakouts at all while using. After trying out and reviewing Avalon Organics Vitamin C Renewal facial cream, I would say that this is a low priced face cream with natural and organic ingredients that can work well for fine lines, making the skin look more even and toned. Still, the antioxidants that this cream contains could be preserved better if its content wasn’t offered in a jar.